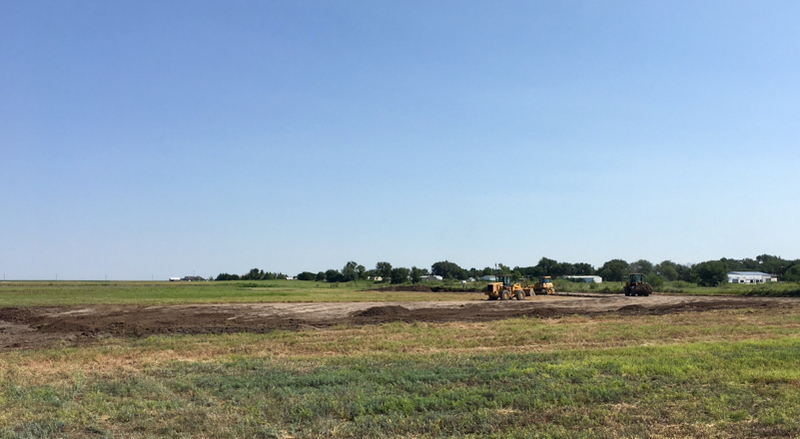 A new multi-partner playa restoration program, the Texas Playa Conservation Initiative, is offering participating landowners free backfilling of pits and trenches in playas surrounded by grass. Backfilling these pits and trenches, many of which are no longer in use, restores playa hydrology for the benefit of local residents and wildlife. Playa restoration will be completed at no cost to the landowner and upon completion of the restoration practice, a one-time incentive payment will be provided. Healthy, functioning playas are areas of focused recharge to the Ogallala Aquifer, with rates in playa basins 10 to 100 times higher than other areas, but the benefits go beyond simple recharge. Playas are also critically important for wildlife, according to Kahl, providing water, food and shelter. These seasonal wetlands support 185 species of waterfowl and other birds, 350 species of plants, 37 mammal species, and 13 amphibian species. Program partners include Texas Parks and Wildlife Department, Playa Lakes Joint Venture, USDA Natural Resources Conservation Service, Ducks Unlimited, US Fish and Wildlife Service, Texas Agricultural Land Trust, Texas Grazing Lands Coalition, Texas Tech University, Texas A&M AgriLife Extension, The Nature Conservancy, and Ogallala Commons. For more information about the Texas Playa Conservation Initiative or to enroll in the program, contact Don Kahl at (806) 475-1308 or don.kahl@tpwd.texas.gov.